Office Location: Ann Arbor, MI. Employees can also work full time from this office. CareEvolution is an Ann Arbor, Michigan-based provider of Health Information Exchange (HIE) software platforms and applications. Our software allows healthcare providers and patients to make better decisions faster. We're looking for talented folks to join our team in solving some of the most difficult problems in HIE. CareEvolution's stack has been selected as the technical infrastructure for seven statewide exchanges in the US. We also have other large public and private exchange networks, as well as health plan exchanges in active deployment. Our team is quite small, but all of us are technical people. We maintain a strong start-up/hacker culture. CareEvolution has partnered with a few large companies with relationships in all 50 states - and beyond - to supply a large portion of our sales and marketing efforts. Our stack is recognized by leading HIE industry analysts as the most technologically sophisticated HIE on the market - by a significant margin. We are focused and execute very quickly. But we also have a lot of fun - including hackathons every eight weeks, biannual company-wide get-togethers, board game nights, etc. We are an equal opportunity employer and value diversity at our company. We do not discriminate on the basis of race, religion, color, national origin, gender identity, sexual orientation, age, marital status, veteran status, or disability status. 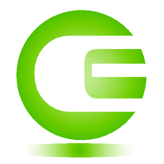 We have active teleconference for all of our remote employees - which comprise more than half of the CareEvolution team. Check out our company page, and visit http://letsfixhealthcare.com for more information on what we do.